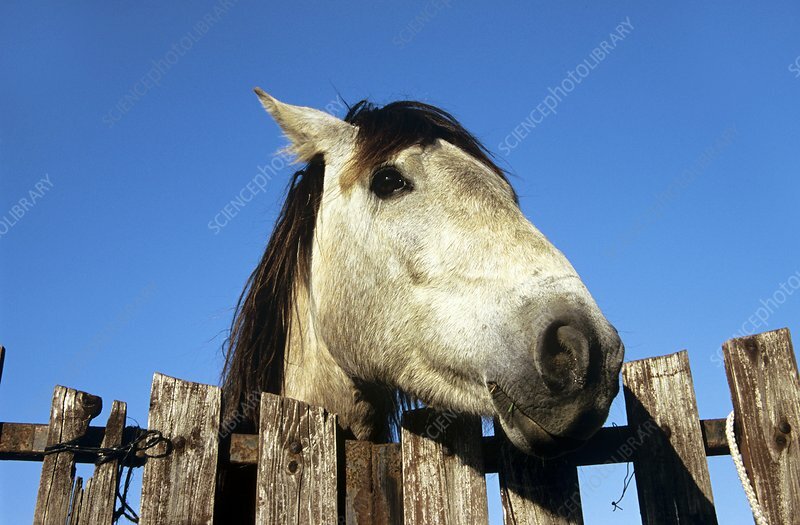 Camargue horse looking over a fence. This horse is a local breed of the horse (Equus ferus caballus). The Camargue horse, which may date back to Paleolithic times, has legs and hooves adapted to life in salt marshes. It is the traditional mount of the gardians, the Camargue cowboys who herd the black Camargue bulls used in bullfighting in southern France. Photographed in the Camargue, a wetland and salt marsh region in southern France.